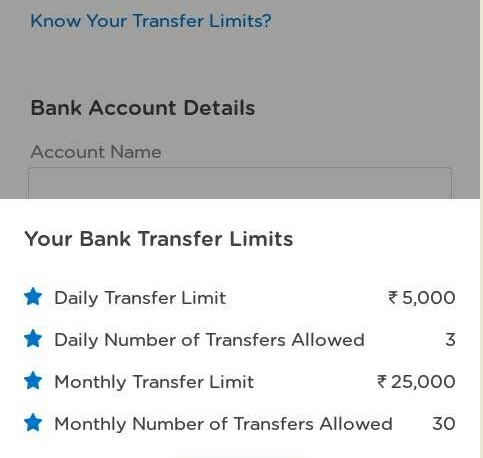 MobiKwik Daily Transfer Limit : Rs. 5,000. Monthly Number of Transfer Allowed : 30.